IC Python API:Using Pyside2 For Creating User Interface - Reallusion Wiki! iClone ships with a pre-built version of PySide 2.0 compatible with Python 3.6.2. This version includes all standard PySide2 modules. 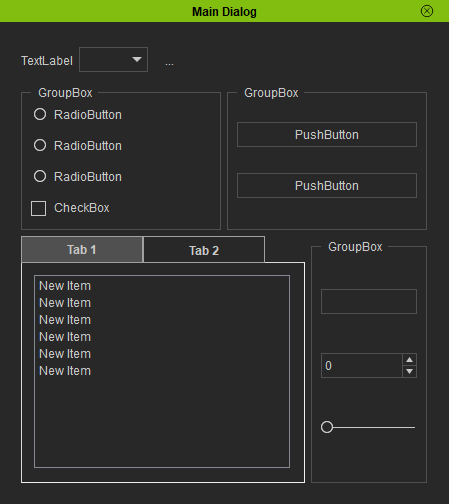 This sample demonstrates how to load a Qt Designer UI file and edit the loaded widgets. You must first use Qt Designer to create a *.ui file that represents the widget tree. This page was last modified on 9 April 2019, at 01:21.